Grand Traverse County Department of Veterans Affairs provides outreach to Veterans, Veteran Dependents, and Surviving Spouses every month at the library. 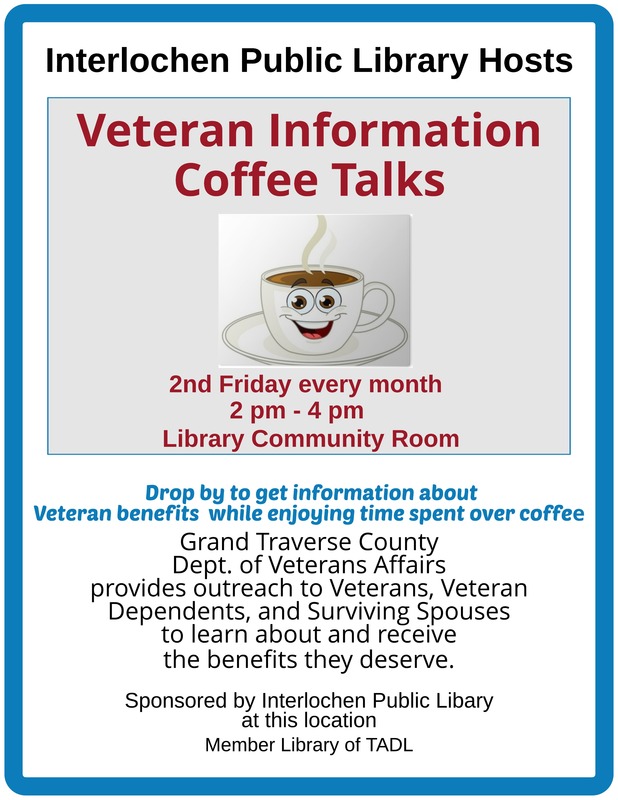 Drop by to get information about Veteran benefits while enjoying time spent over coffee, 2nd Friday every month, between 2 pm – 4 pm, Library Community Room. Hosted by Interlochen Public Library and sponsored by Interlochen Public Library at this location.